These days, when one thinks of Gothic literature, pop-culture phenomena such as Twilight, True Blood and Harry Potter may immediately spring to mind. But in a literary sense, the heyday of Gothic writing was in the late 18th and early 19th centuries, with the works of luminaries such as Horace Walpole, Charlotte Smith, Ann Radcliffe and William Godwin, according to Ellen Malenas Ledoux, an associate professor of English and director of the Women’s and Gender Studies Program at Rutgers–Camden. 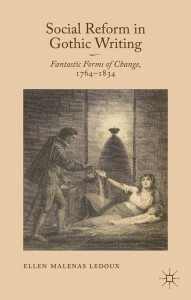 Beyond their ability to stir the senses, these classic Gothic works had a tangible – and substantial – impact on the social and political landscape of the day, posits Ledoux in her new book, Social Reform in Gothic Writing: Fantastic Forms of Change, 1764-1834, published on June 27 by Palgrave Macmillan. Breaking with traditional analyses, Social Reform argues for a new political reading of Gothic writing from England, America, and colonial Jamaica – one that recognizes its transformative power. The book provides a trans-Atlantic view of Gothic literature’s intervention into the public discourse surrounding seminal issues of the Revolutionary era, such as women’s property rights, population pressure, public health, and abolition. Throughout the book, Ledoux studies Gothic literature alongside other historical documents and phenomena of the period in order to examine the ways in which the authors use dark elements to uncover social atrocities, or to offer alternative solutions to these issues. “In a fantasy world, you can offer an alternative vision of something that you can’t through realistic writing,” explains Ledoux. Informed by genre and reader-response theories, the book illustrates how Gothic scenes depicting violence and heightened emotion challenged conventional thinking and normative behaviors, revealing the Gothic’s transgressive spirit as a dynamic force within the sociopolitical landscape of the 18th- and 19th-century Atlantic world. The unique contribution of Social Reform is its insistence that Gothic fantasy can have real-world political impact by documenting ideological shifts wrought by author and audience interaction, and identifying the social policies that Gothic texts helped to shape. In the first chapter, Ledoux reveals how Walpole conceived of Gothic writing as a powerful political tool, useful in shaping the opinions of an increasingly literate population by using narrative to play upon its collective fears. In the following chapter, she demonstrates how women authors used the symbolic richness of Gothic space to challenge existing forms of domestic politics. In the third chapter, Ledoux examines Godwin’s first foray into the supernatural, arguing that St. Leon’s (1799) alchemical themes created opportunities for him to address the intertwined philosophical, political, and personal challenges he faced after the French Revolution. 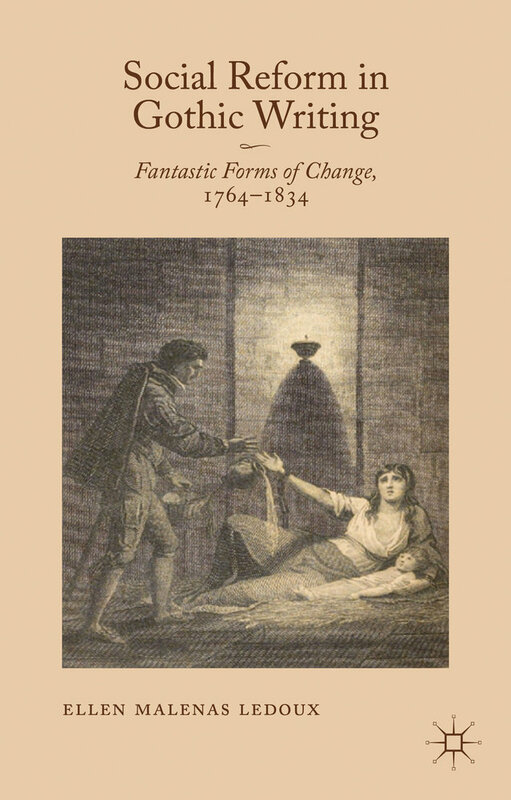 In the following chapter, Ledoux takes a materialist approach to setting, arguing that Charles Brockden Brown’s Arthur Mervyn, published serially from 1798 to 1800, addresses yellow fever as an immediate medical and social problem. She explores how Brown’s gothic scenes of horror, inspired by the outbreak in Philadelphia in 1793, discredit institutional healthcare by characterizing it as brutal and ineffective. In chapter five, Ledoux highlights the reformist writings of Matthew Lewis, one of the principal figures of the Gothic canon. Lewis wrote both Gothic and non-fiction texts that engage with the abolition and emancipation debates over a 21-year period. In addition to Gothic literature, Ledoux specializes in Romanticism and transatlantic writers of the Revolutionary period. Her current project, “Laboring Mothers: Reproducing Women and Work in the Romantic Era,” focuses on the material challenges of motherhood faced by women working in the late 18th and early 19th centuries as represented in literature, art, and popular culture. She has published articles in Studies in Eighteenth-Century Culture and Women’s Writing. Ledoux earned bachelor’s degrees in English and psychology from Stanford University in 1996, and a master’s degree in Anglo-Irish literature from Trinity College in 1998. 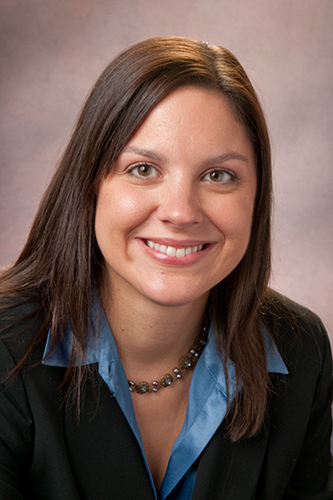 She subsequently attended the University of Virginia, where she earned a master’s degree in 2004 and a Ph.D. in 2007, both in English language and literature.